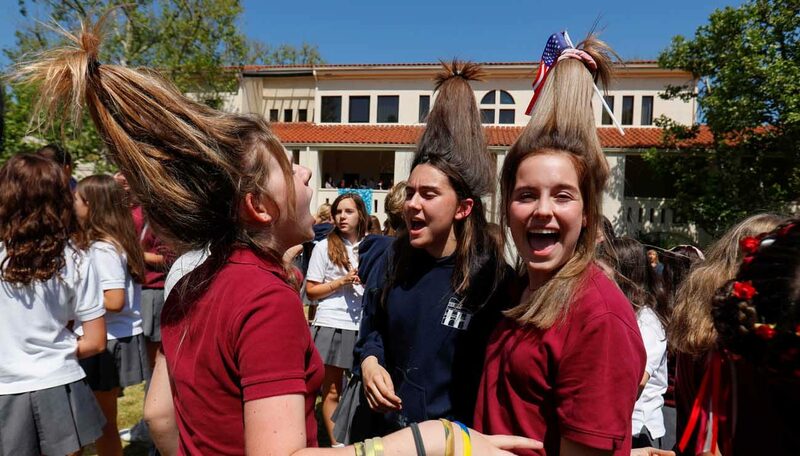 WASHINGTON (CNS) — Royal wedding fever has caught on in many places, but it has a particular soft spot at Immaculate Heart Middle School and High School outside Los Angeles, the school Meghan Markle attended from seventh to 12th grade. The school is located more than 5,000 miles from St George’s Chapel at Windsor Castle in England, where Markle and Prince Harry’s May 19 wedding is taking place, but the California school bridged this gap during an outdoor pre-wedding celebration May 15. “The idea that someone like her, who has had an upbringing so similar to ours, will now be able to voice her concerns on a global platform as an internationally recognized figure is a story that impacts so many young women, especially the young women at our school,” said Speier. But they also are fully embracing Markle’s upcoming role as Duchess of Sussex.To demonstrate their dedication, and also witness history, some students, alumnae and families will attend a wedding viewing party May 19 at the school that will start at the wee hour of 3 a.m. (PDT).